Shop Local Night is Friday, December 7, with a tree lighting at 6:30 in downtown McCall. Gallery 55 will be open 11-7 and serving refreshments 4-7. 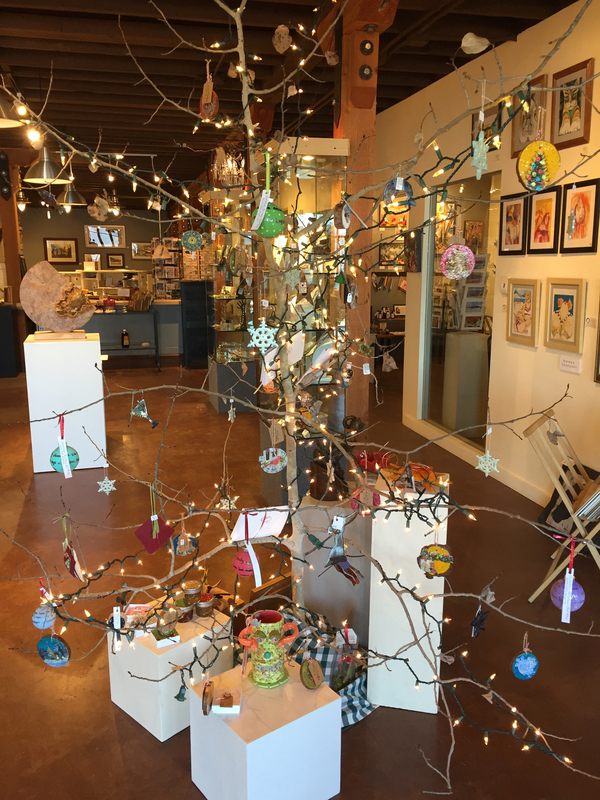 We’ll have a tree full of handmade ornaments and a special sale of 8″x8″ art. So, be sure and stop by.